Which strategy will you follow to make sure you are guaranteed to win? SherlockHolmes Expert Asked on 4th October 2018 in Easy puzzles. 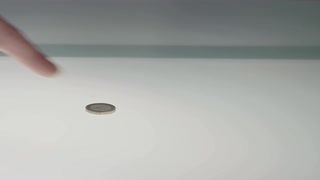 First, you have to put the coin in the middle of the table. And for your next consequent turns just mirror the previous step of your opponent. ie place the coin on the opposite side of where your opponent placed it in the previous step. dyj Expert Answered on 4th October 2018.